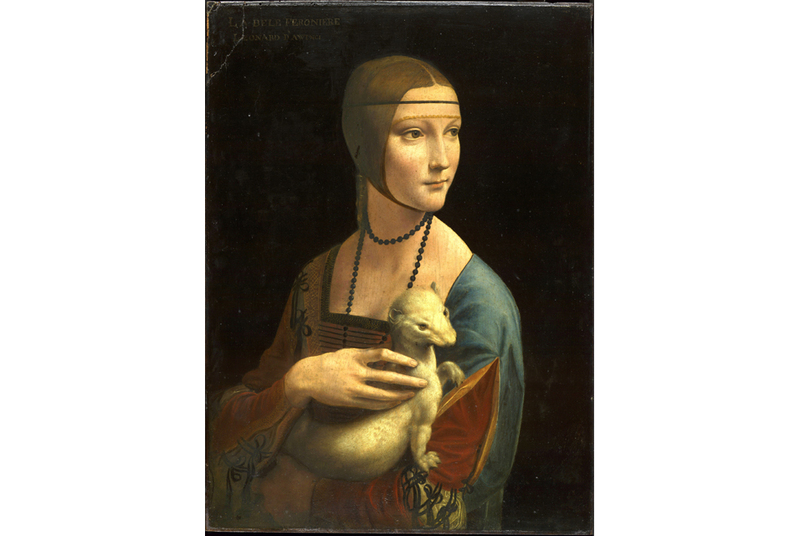 Poland mulls buying Da Vinci's "Lady with an Ermine"
Leonardo da Vinci, Lady with the Ermine, 148990. Oil on wood panel, 54 cm × 39 cm (21 in × 15 in). Czartoryski Museum, Kraków. WARSAW (AFP).- Poland is planning to buy a private art collection, including Leonardo da Vinci's "Lady with an Ermine", the culture ministry and local media said Wednesday. Painted at the end of the 15th century, "Lady with an Ermine", the most famous painting exhibited in Poland, is part of a two-century-old collection estimated to be worth two billion dollars (euros). Owned by the princely Czartoryski family, the collection is currently housed in the National Museum in Krakow, run by the Polish culture ministry. Deputy culture minister Jaroslaw Selin unveiled the plan on Tuesday as the Polish parliament discussed funding for cultural purchases. "The Polish state and thus the Polish nation will own one of the world's most valuable art collections, including this work, which many art historians deem superior to the 'Mona Lisa'," Selin said, quoted by the PAP agency. Princess Izabela Czartoryska, who founded the collection in 1801, sought to preserve Polish and European works while her country was dominated by Austria, Prussia and Russia, following a 1795 split. The ministry told AFP on Wednesday that Minister Piotr Glinski had "announced steps to finally set the status of the collection," which requires a deal with the president of the foundation, Prince Adam Karol Czartoryski, who lives in Madrid. The ministry wants to ensure the collection never leaves Poland, which is a possibility as long as it is owned by the foundation. The collection comprises thousands of works, with an estimated value of two billion euros (dollars), said Rzeczpospolita. "Lady with an Ermine" is insured for about 350 million euros, it added. But Marian Wolski, head of the Czartoryski Foundation in Krakow, said a takeover of the collection by the state might hit legal obstacles as its statutes stipulate it is "non-transferable and indivisible". "Our lawyers tell us that these principles cannot be changed," he told AFP.